There’s something about lining the streets to watch and cheer the marching bands, majorettes, beauty queens, clowns, and floats passing by. Parades come in all sizes, from the Macy’s Thanksgiving Day Parade to the Rose Bowl Parade to all the small-town parades on Main Street, USA. We particularly like seeing our local youth sports team, high school band, homecoming queen, veterans and first responders – people we know and love – marching or riding by on a float. We don’t like to rain on anyone’s parade, but accidents can and do happen – often with tragic results. Two sports team/league clients of ours were sued after children were seriously injured as a result of falling from a float and being run over. One case settled for about $345,000 and the other is estimated to settle for around $50,000. Parades are fun for participants and onlookers alike. However, it’s important to be aware of the inherent risks associated with these activities. This awareness allows you to take appropriate precautions and lessens the potential for injuries. We strongly suggest that you consider walking in the parade rather than entering a float. This drastically reduces the risk of injury to participants. 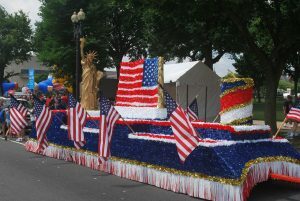 It’s critical that proper steps are taken in preparing a float prior to its entry in a parade. The safety of the driver, passengers, and bystanders are all at risk if precautions aren’t taken. Below are best risk management practices in preparing and operating a float. 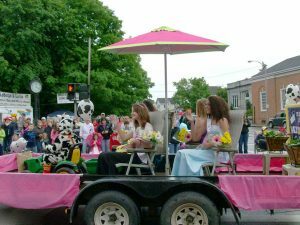 Follow the parade organization’s guidelines, including local fire codes and float size restrictions. Service float vehicles prior to their entry into a parade. Do not transport extra gasoline on the float vehicle. Float decorative materials, such as crepe paper, flowers and greenery, hay, fabric, etc should be flame resistant. Apply flame retardant spray or solutions as necessary. Secure portable generators to the float away from flammable materials in well ventilated areas. Do not allow re-fueling of generators. Tow vehicle should carry a fire extinguisher and have a fully functioning horn, brakes and brake lights. Make sure nothing protrudes overhead that could make contact with wires, banners, overpasses or other objects along the parade route. The final weight of the loaded float should never exceed the weight of the tow vehicle. Ensure the float bed is sturdy enough to carrying the weight of participants and equipment. Ensure the float driver has a wide, unobstructed 180° field of view. Make sure the float attachment to the tow hitch is the correct size/form for a secure connection that stabilizes the float behind the tow vehicle when in motion. Float operators should be properly licensed drivers 25 years of age or older. Drivers should maintain a speed of no more than walking speed when the float is occupied. Driver must alert float riders upon stopping and starting the vehicle. Drivers must maintain a space of 30 feet between parade floats to permit smooth and steady stopping. Do not permit riders on the float during transport to and from the parade site. Riders may not mount or dismount the float or tow vehicle when it is in motion. Children riding on floats should be supervised by an adult. Riders may not stand, jump, dance or dangle any body part over the edge when the float is in motion. Rider seats must be secured to the float deck. For maximum protection, a guardrail barrier should be erected along the exposed sides and ends of platforms to prevent falls of persons out of the float. Participants should not ride on the edge of the float and no jumping on or off a moving float should be permitted. Do not have float passengers throw items (i.e. candy) along the parade route or squirt/spray onlookers with liquid of any kind. Passengers riding in pick-up truck beds used as tow vehicles must be seated with the bodies fully within the confines of the truck bed. These passengers may not stand or straddle the truck bed when the vehicle is in motion. The driver/owner of the vehicle pulling the parade float should provide evidence of Auto Liability limits of at least $300,000 combined single limits. The sports team/league General Liability policy should cover lawsuits arising out of injuries to team/league parade participants who are walking. The sports team/league should carry Non-owned and Hired Auto Liability insurance to cover the team/league as an entity. The offers protection should it be shotgunned into the lawsuit arising out of injuries to participants on the float or who fall from the float. However, most Non-owned and Hired Auto Liability policies will not cover the driver/owner of the vehicle. Crazy and unexpected injuries such as falls from parade floats do arise out of the operations of sports organizations. You can never plan for the unexpected and that is why quality sports insurance is vital for the protection of your participants, board members, and volunteers. Please click on the “get a quote” button at the top of this page to get an instant online quote.